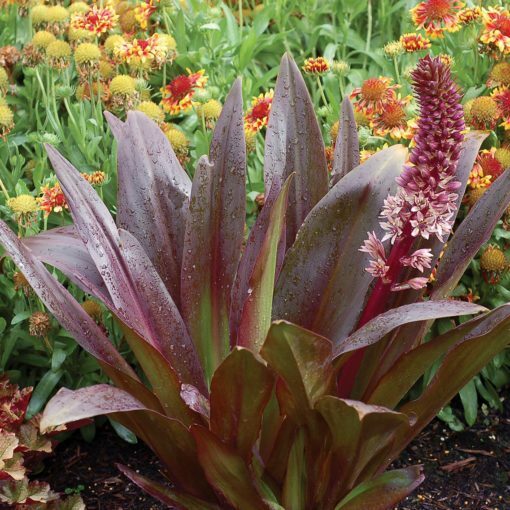 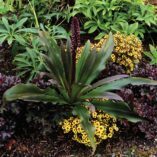 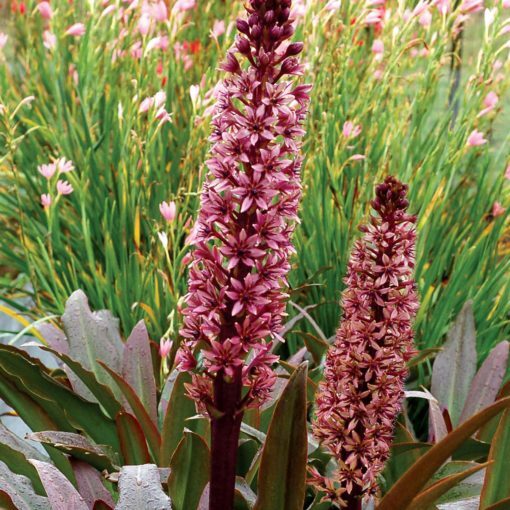 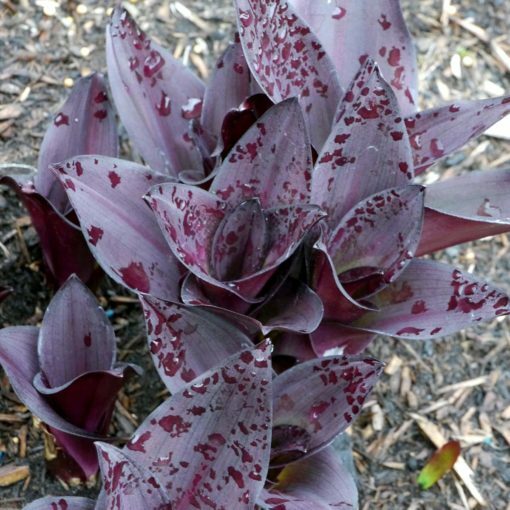 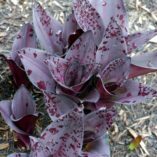 Eucomis TERRA NOVA® ‘Zulu Flame’ | TERRA NOVA® Nurseries, Inc.
TERRA NOVA® 'Zulu Flame' has darker purple leaves than Eucomis 'Oakhurst' with a much improved habit. 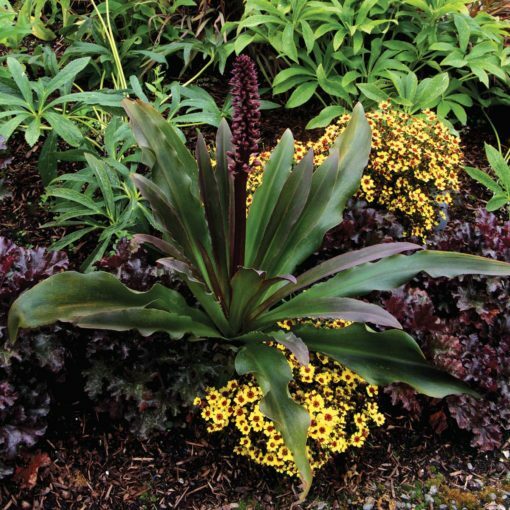 The broader, thicker foliage never flops and the flowers are darker on shorter stalks. 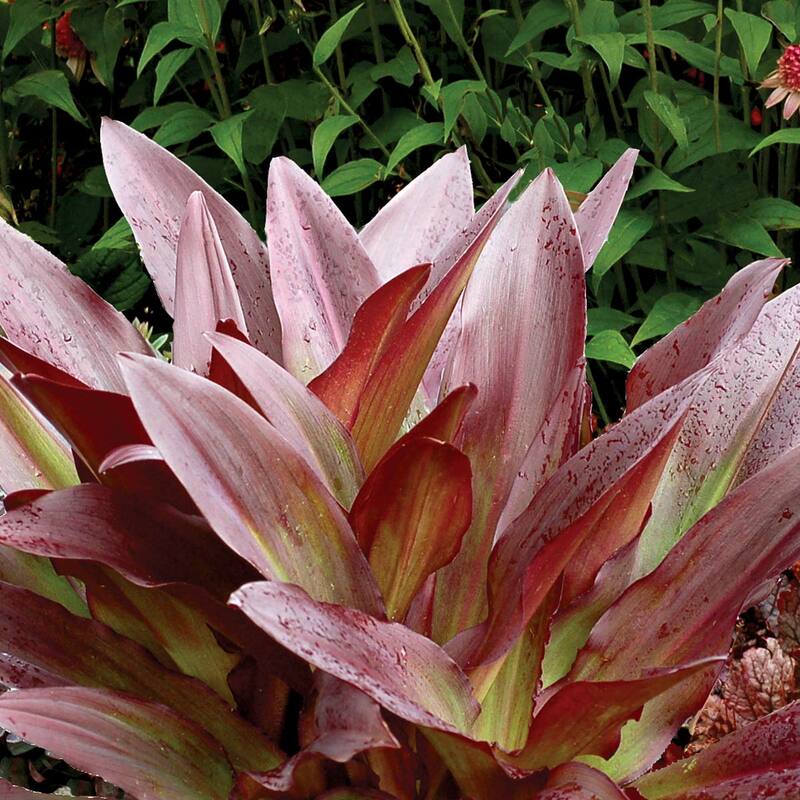 TERRA NOVA® 'Zulu Flame' will add a tropical touch without any fuss. 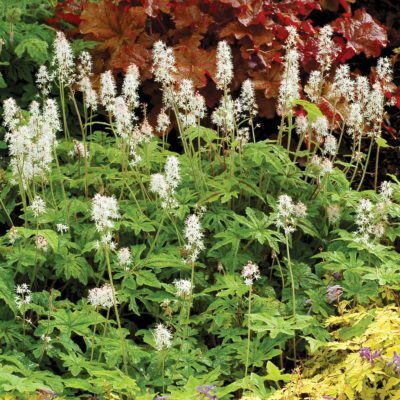 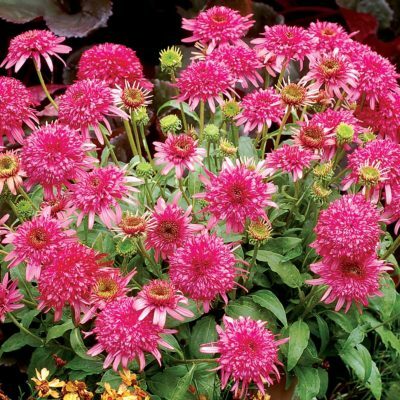 Hardy to at least zone 6, this vigorous, cold tolerant gem should find its way into a featured garden spot or a special pot from coast to coast. 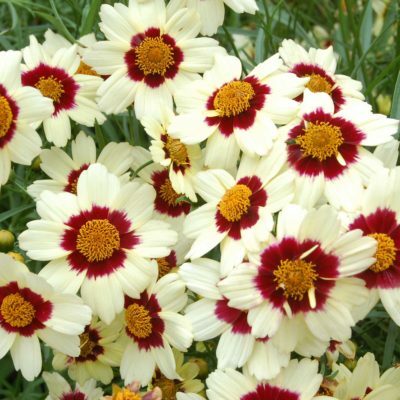 Compared to 'Oakhurst' or 'Sparkling Burgundy' it has shorter, wider leaves and does not flop over later in the season. (Much shorter flower stalks as well.) 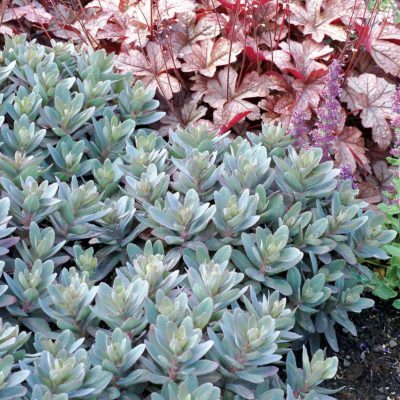 The foliage color holds better in the heat. 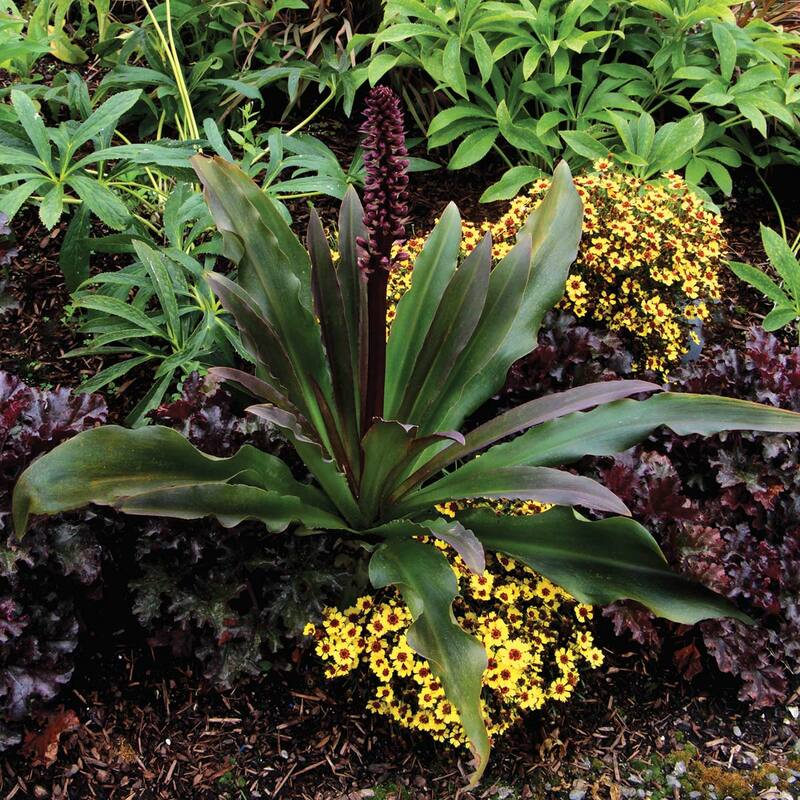 Container, border, mixed beds, rock gardens. 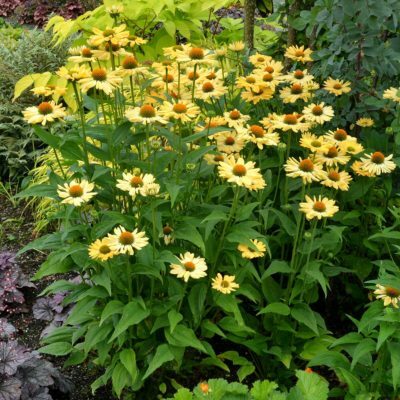 Per literature "For plants grown under cover, greater uniformity can be achieved by starting forcing at 68°F-78°F until stem emergence. 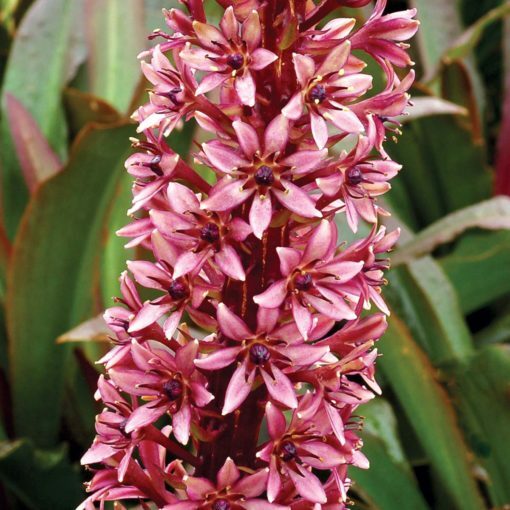 Following emergence, production temperatures of 60°F-85°F days and 50°-65°F nights are best."